Banking is in China’s blood. Not only are imposing bank branches common in urban neighborhoods, but banking services are now embedded in the smartphones found in most pockets and purses. Banking is also getting bigger. At the end of 2017 in China, there were 6.6 bank accounts and 4.81 bank cards per person, according to this year’s People’s Bank of China financial-health report—a bit more than a year earlier. More than 45% of all adults bought investment products last year, and nearly 23% took out at least one bank loan. Access to financial services and quality are also improving, the central bank reported, thanks to new applications for information technology. Electronic payments, bank cards and bank-linked insurance products are enjoying steady growth; and basic financial services are now available even in remote areas. The Global Finance annual Stars of China awards acknowledge the growth and increasing maturity of the Chinese banking sector, offer a bow to its best firms and encourage all industry players to reach higher. Now in its 11th year, Stars of China also recognizes the contributions that banks—including foreign institutions—make to China’s Belt and Road Initiative (BRI). Altogether, 23 leaders in the financial-services landscape are receiving Star of China honors and personal recognition at a November 13 ceremony in Beijing. 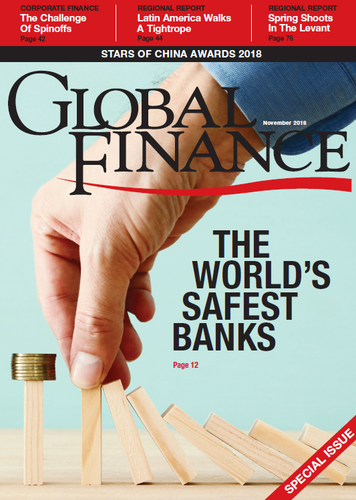 Winners include domestic and foreign banks, asset managers and fintech providers—a wide assortment of institutions, from the biggest state-owned banks to an internet-only newcomer. Demand for a wider range of services has indeed been a driver of change in Chinese banking, and this is reflected in this year’s Stars lineup. We added awards for banks that promote internationalization of the renminbi, green-energy development and urban revitalization—activities encouraged by Chinese government policymakers. Other new categories are tied to corporate “going-out” [China’s term for expanding out to the wider world] efforts in harmony with government strategies such as the BRI. The Stars of China awards also recognize achievements linked to the financial industry’s evolving focus and growing reliance on digital technology, including fintech and mobile-app banking. Internet business services, artificial intelligence, blockchain and biometric protection are becoming standard features in the industry; and the tech-related awards recognize firms that have been leaders in these areas. Among these is CreditEase, this year’s Star of Innovation in Fintech. 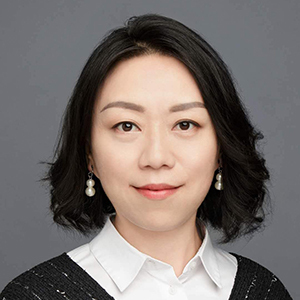 “Going forward, CreditEase will continue to leverage fintech strengths in inclusive finance and wealth management to address the underserved needs of small businesses, consumers and rural residents” as well as higher-income groups, said founder and CEO Tang Ning. Digital products also tipped the scales in favor of banks that deliver retail services through easy-to-use smartphone apps. Winners include WeBank, China’s first online-only banker, which has seen explosive growth; and Ping An Bank, whose retail business has soared through its Pocket Bank app. Not to be overlooked are firms that excel in backbone services such as corporate banking and transaction services. Other honors went to China’s best asset manager and three engineering companies whose overseas construction projects shine as examples of BRI success. This year’s Stars ranking was adjusted to consider banks’ contributions to national economic-strategy goals. Besides the BRI, awards went to institutions that stand out in financing government policy initiatives, including green-energy development, and the small enterprises at the heart of China’s so-called real economy. In its financial-health report, the People’s Bank noted that China’s banking sector still has room for growth and improvement—urging, for example, more financial support for innovative enterprises and disadvantaged populations. Similarly, Stars of China aims to motivate institutions to keep following the path toward improvement. This year, we lauded nearly two dozen firms for their valuable contributions to China’s vibrant banking industry. Industrial and Commercial Bank of China’s ability to leverage its size—it’s the world’s largest bank—on behalf of corporate clients was key to its selection this year as Best Corporate Bank. As of June, ICBC led the domestic industry, boasting more than 6 million corporate accounts, about RMB4 trillion ($578 billion) in corporate deposits and a corporate loan balance exceeding RMB7.5 trillion. Employing an army of 16,000 client-credit managers, the bank ranks first in corporate-bond underwriting while boasting the lowest default rate for domestic, nonfinancial-firm debt instruments among China’s biggest banks. ICBC doesn’t take its leading position for granted. It is now reaching out to corporations in emerging sectors including health care, advanced manufacturing, natural gas infrastructure and the internet. It also recently added 110 corporate accounts in a new satellite city with government offices being built near the capital, Beijing. China’s population is aging, possibly setting the stage for a future demographic crunch, but this hasn’t discouraged internet-savvy bankers from tapping the nation’s young-consumer market. Big banks, as well as social-media giant Tencent and e-commerce behemoth Alibaba, have embraced young adults by developing mobile apps and online systems that deliver digital-friendly financial products. A leader in this trend is WeBank, whose chief investor, Tencent, also controls the WeChat and QQ social networks. WeBank’s success in offering basic consumer and small-business products while also appealing to younger savers earned it this year’s Best Consumer Bank award. The bank launched in 2015, and at the end of last year counted more than 60 million app users and RMB5.3 billion in deposits. WeBank reported a 2017 net profit of RMB1.4 billion and RMB81.7 billion in assets. Behind this rapid growth is a customer experience that WeBank aims to keep speedy and hassle-free. For example, a licensed entrepreneur in one of three eligible provinces can get a no-collateral, 24-month loan within 15 minutes. 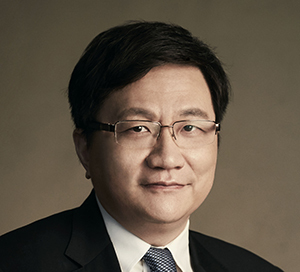 Prompted by WeBank’s success, a ratings agency recently reacted to demand for this and other products by raising the bank’s credit rating, noting that it expects rapid growth for the microbanking business, more customer traffic through Tencent’s social networks and strong demand for auto financing and business loans. Being your own boss is a nearly universal dream in China. Catering to this aspiration is a class of banks with products specifically designed for small and medium-size enterprises (SMEs), from retailers to restauranteurs. China Minsheng Bank is a nationwide lender that excels at serving this growing sector, which the government, in turn, is encouraging as a pillar of economic development. It was therefore a clear choice for this year’s Best SME Services Bank award. Beijing-based Minsheng offers a variety of industry-leading, low- and no-collateral credit products in step with China’s initiative to support the “real economy.” These include Wang Le Dai, a credit line that offers business-license holders in select cities quick access to up to RMB300,000 for purchases, transfers and cash. The bank also offers no-collateral loans worth up to RMB500,000. Its Shang Liantong supply-chain support program combines SME loans with a system for boosting sales, recruiting distributors and cutting risk through access to logistics and transaction data. Minsheng Bank reported about 4.5 million small-business clients as of June 2017, a 9% increase from January of that year. SME loans for those six months topped RMB209 billion. The expression “going paperless” may soon be a dinosaur as businesses and banks—and even change-wary retirees—increasingly shift to electronic invoices, statements and accounting. Paperless is a priority at China Guangfa Bank, one of the country’s oldest joint-stock commercial banks. Since 2016, CGB has been shifting clients to digital through its “smart trade” document and cross-border remittances operations, online supply-chain financing and automated consumer-payment service. This initiative earns CGB this year’s Best Bank for Transaction Services award. Customers have responded favorably: Last year, the bank counted 180,000 electronic-channel customers, up 14% year-on-year; and 230 million electronically processed transactions, up 92% from 2016. Overall, CGB reported handling $80.5 billion worth of international settlements, up 7% from 2016; and the monetary value of its transactions jumped 14%, to more than RMB11 trillion. CGB prides itself on being a leader in automated processing, particularly for cross-border transactions. Its international-trade financing products aim to balance global demand within the parameters of China’s policy goals. CGB also serves domestic enterprises with, for example, an online business-registration and account-opening system. Hong Kong’s evolving relationship with mainland China, which oversees the city as a “special administrative region,” is having an enormous impact on regional trade. So banks that serve importers, exporters and other businesses in the Hong Kong area must be adept at cross-border financing. A premier institution in this regard is Bank of East Asia (China), winner of this year’s Best Bank for Cross-Border Trade award. The 11-year-old, mainland-incorporated unit of the nearly 100-year-old Hong Kong institution of the same name, BEA-China offers a range of innovative cross-border banking and currency services that capitalize on its deep knowledge of the regulatory environments on the mainland and in Hong Kong. Its clients also benefit from a network of offices in dozens of mainland cities. Thanks to China’s rapid development since the 1980s, the country now boasts a demographic of high-net-worth individuals and families with special asset management needs. As a result, almost every big bank in China now operates a robust, profitable private-banking division. China’s hands-down leader in private banking assets under management is China Merchants Bank, winner of this year’s Best Private Bank award. CMB goes the extra mile to attract and retain high-end depositors in unique ways. For example, its Young Elite Fortune Forum is a social network for young people in family businesses. CMB organizes tours to world-famous historic and scenic spots for high-end clients. It offers 24/7 hotline access to wealth management specialists. And it hosts art auctions with Christie’s and Sotheby’s. For the first half of 2018, the bank reported a 6.4% increase in private banking customers, to 71,776, over the comparable span in 2017. Total assets in this class topped RMB203 billion, up 6.7% since December. CMB’s service also includes a network of 63 private banking centers across China and in seven cities abroad. The government’s recent decision to merge insurance and banking regulators reportedly sparked a revolving door of executive transfers between those agencies and state-run asset management firms. Some say the turnover could help the asset management industry by bringing an infusion of new executives focused on reducing risk and stepping up regulatory compliance. Least impacted may be Ping An Asset Management Co., which, as the nation’s largest non-state-owned asset manager, operates beyond the revolving door and is already tightly focused on risk control. It wins this year’s Best Asset Manager award. Concerning corporate scrutiny, the firm applies its own strict credit-assessment system, which gives ratings far below those issued by domestic ratings agencies. Its “clear risk management orientation” and “proprietary risk control ... strongly differentiate us,” PAAMC says. Since launching in 2005, PAAMC has rapidly attracted clients ranging from pensions to sovereign wealth funds, and today has more than RMB2.8 trillion under management. It has also lured talented employees, 60% of whom have professional certification and 90% of whom have earned a master’s degree. AUM has more than doubled since 2013 on the foundation of the bank’s multi-investment strategy and industry-leading equity investment performance. The bank’s approximately RMB500 billion targets a wide range of alternative assets in areas including real estate, finance, transportation and the power sector. Guests at a recent BRI seminar in Shanghai included executives from dozens of prominent global institutions. But the seminar’s key sponsor was a local institution at the forefront of BRI financing: Bank of Shanghai. Bank of Shanghai’s commitment to the BRI stems from its hometown proximity to the Shanghai Free Trade Zone (FTZ), through which a two-way flow of goods and services connects China with Southeast Asia, Africa and other regions targeted by the government initiative. That commitment earned it the 2018 Best Domestic Bank for One Belt, One Road award. The bank leads some 60 Shanghai municipal-government programs designed to support the Shanghai FTZ as a BRI bridgehead for the rest of the country. Because the BRI involves both trade and infrastructure-construction projects in targeted countries, Bank of Shanghai has a team focused on cross-border and project financing. Related tasks include investment banking and promoting Chinese currency internationalization. Bank of Shanghai expects its work to pay off in wider access to global markets. With BRI-related trade volume topping $1 trillion last year and forecast to top $2 trillion within five years, the bank is positioned for growth and future global prominence. The BRI, now five years old, has been credited with generating $5 trillion worth of trade in goods between China and more than 100 countries. China’s combined direct investments in those countries recently exceeded $70 billion. Underpinning this activity are financial arrangements through globally connected banks. 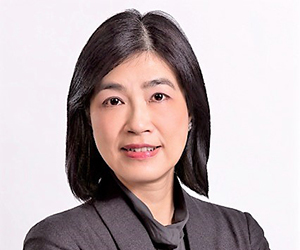 Ling, Standard Chartered Bank: Winning would not have been possible without the support of our clients as they embark on their 'going out' strategy. Standard Chartered has distinguished itself as a go-to financier for BRI projects around the world, which is why the London-headquartered institution was named this year’s Best Foreign Bank for One Belt, One Road. The bank has a strong presence—in some cases, a 150-plus-year history—in dozens of BRI-targeted countries. It supports project players through the phases of bidding, investment, planning, construction and operation, and works with Chinese policymakers and state-run banks on projects such as bond issues. Standard Chartered reports that last year it was involved in more than 50 Chinese outbound deals linked to the BRI. That activity is likely to expand, following roadshows in China and 10 other countries over the past year aimed at promoting the bank’s BRI services. One stop was the National Development and Reform Commission in Beijing, where bankers shared perspectives with Chinese policymakers. Last December, Standard Chartered chair José Vinals and the bank’s China CEO Jerry Zhang announced a further commitment of $20 billion to BRI projects by 2020. A financial sector scramble to streamline operations and boost client satisfaction via online solutions has sparked huge demand for tech professionals, and banks are among those most eager to hire computer-savvy talent. A commitment to high-tech staff recruitment has given Shenzhen-based Ping An Bank a reputation for service and product innovation, earning it the 2018 Most Innovative Bank award. Ping An’s mobile-platform-based Pocket Bank boasts more than 20 million monthly users, up 37% from last year. The bank employs artificial intelligence and Big Data to offer Pocket Bank clients investment products targeted to customer risk preferences. The app also has a 24/7 customer-service feature that the bank says can answer 90% of all questions automatically. Biometric data and face recognition protect credit card users. Ping An also offers customers offline/online integration through its “intelligent” retail outlets. Innovation has paid off: For 2017, Ping An reported a 68% year-on-year increase in net retail business profit. The bank’s 2017 financial report said it has created a favorable internet environment by encouraging staffers “to apply internet thinking and tools to resolve problems and improve efficiency.” Ping An aims to press this advantage. Its retail division last year hired 244 tech specialists, including 26 executives who had previously worked at internet companies. Global banking’s digital era is already well underway, but teams of product-development and IT experts are still busily churning out apps to streamline financial processes. At Industrial Bank of China, a leading team for digitally streamlined products helped earn it the 2018 Best Bank for Payment Services award. The 30-year-old, Fuzhou-based bank has blended payment and settlement services into a cloud-based, interbank cooperation system called Yinyin. The mainly digital platform, the first of its kind in China, offers internet and offline financial services through cooperating banks, including payment, wealth management and liability optimization. As of 2015, interbank customers had deposited RMB1.7 trillion into Yinyin. Industrial Bank facilitates retail-customer payments for short-term and small-scale investment products through Yinyin by means of a mobile app. Customers enjoy easy access to assets, as investments can be sold or transferred with a screen tap. The innovative system appears to be paying off for the bank’s retail side: During the first half of this year, Industrial Bank reported that the number of retail clients, including credit-card holders, increased 11%, to more than 62 million. Retail-client integrated assets jumped to RMB1.58 billion, contributing to a 21% increase in retail net income. China’s first fintech to list in New York could have rested on its laurels as a profitable leader in high-tech products for consumer lending, small-business finance and wealth management for high-net-worth individuals. But CreditEase is expanding into new arenas, notably with the 2016 launch of its $1 billion CreditEase FinTech Investment Fund, which has invested in more than 45 companies, mostly in China and the US. Such initiatives helped CreditEase clinch the 2018 award for Innovation in Fintech. We will continue to leverage fintech strenghts in inclusive finance and wealth management to address the underserved. The 12-year-old, Beijing-based company–led by its maverick founder Tang Ning–applies high-tech solutions in a wide range of business areas, including marketplace lending, blockchain credit systems, supply-chain finance, robo-advising, crowdfunding and insurance services. A key service is Yiqifin, which offers risk-control-oriented financial-management cloud platforms to fast growing, innovative companies. With about 5 million global customers, including 1 million wealth management clients, CreditEase is building a substantial global presence. Its network covers 255 cities, including Hong Kong, Singapore, Tel Aviv and New York, as well as much of rural China. The firm operates with a bow to financial inclusion through Big Data, blockchain and Internet-of-Things applications, and pledges to continue innovating. The bank’s commitment is underscored by its work on a development fund for green projects in a region plagued by air pollution, which includes Hebei Province, Beijing and Tianjin. This and similar initiatives helped Hua Xia win the 2018 Best Bank for Green Energy Development honor. The bank’s Beijing-Tianjin-Hebei Air Pollution Prevention and Financing Innovation Project is the first and largest of its kind in China. As of January, it encompassed 12 projects aimed at cutting carbon dioxide emissions from coal by a combined 1.25 million tons. Hua Xia’s record for green energy stems from years of cooperation with the World Bank and France’s development agency. Nationwide efforts as of last year included green funds worth more than RMB4.5 billion and loans totaling RMB2.7 billion. Hua Xia offers low-cost, long-term financing for companies pursuing energy saving and emissions-reduction projects. Bank vice president Wang Yiping recently declared green-energy financing a “calling card” for the Hua Xia brand. Every Chinese bank doing business overseas can regard itself, at least implicitly, as committed to the government’s push to accelerate international acceptance of the renminbi. But since 2015, China Construction Bank has gone a step further by issuing a comprehensive annual report on the progress of the internationalization effort. That level of commitment helped the state-owned lender garner this year’s Best Domestic Bank for Renminbi Internationalization award. CCB has 23,000 customers worldwide who engage in cross-border trade with renminbi, and business volume has jumped 158% since last year. The bank’s progress report—based on trade analyses, financial activities, and questionnaires and interviews targeting executives from Chinese enterprises, foreign companies and financial firms—is a closely read tool for Beijing policymakers and financial analysts alike. According to the latest report, the renminbi is now treated as a major international currency, primarily due to the BRI’s success in expanding infrastructure-building and trade in developing countries. More than 40% of questionnaire respondents said the pace of internationalization has accelerated since last year. And more than three-quarters (76%) of domestic companies and more than one-third (36%) of foreign outfits said they’re now more proactive in using the currency for cross-border settlement. The tone of global forex flows is changing, as companies, investors and individuals increasingly conduct business using China’s rose-hued yuan notes. Not only is the renminbi spreading in step with overseas expansions by Chinese companies and investments, but it’s increasingly familiar among global investors trading stocks and bonds in mainland markets. The renminbi’s international acceptance is being facilitated by key banks, including Singapore-based DBS. DBS has been supporting the Chinese government’s renminbi internationalization campaign for years, albeit with a bow to prudence and protection for customers, Chinese and non-Chinese alike (after all, Beijing policy can affect the currency). This balanced approach helped earn DBS the 2018 Best Foreign Bank for Renminbi Internationalization award. China has been encouraging global investors to buy renminbi-denominated assets through relatively new programs such as Bond Connect and Shenzhen Stock Connect. “Efforts will be made to increase the renminbi’s global acceptance,” a DBS analyst recently noted. “Yet, maintaining financial security is equally important from policymakers’ perspective.” DBS also hopes that by promoting the currency’s use, it will strengthen its business clients’ relations with Chinese trading partners through its RMB Trade Settlement Account for renminbi inflows and outflows. DBS has been offering investors renminbi-denominated products since 2011, and is now the region’s leading underwriter of offshore renminbi bonds. Not since the launch of a Shenzhen urbanization project in 1983 has the Chinese government pledged an urban redevelopment on the scale of what’s slated for the Xiong’An New Area. The plan calls for transforming a largely rural region into a bustling Beijing satellite city about 100 kilometers south of the capital. Major companies have mapped office plans, and the city’s construction is underway. One financier offering strong backing for the Xiong’An project is regional lender Bank of Tianjin, 2018’s Best Bank for Urban Redevelopment. From its headquarters in Tianjin and branches across Hebei Province and Beijing, the bank is integrating financing for Xiong’An and the government’s Beijing-Tianjin-Hebei Cooperative Development strategy. Bank of Tianjin is supporting the central government’s planning and building activities through credit and financial services for infrastructure and industrial-park construction, as well as relocating manufacturers and service firms from Beijing to Xiong’An. Last year, the bank reported that it financed nearly RMB40 billion worth of regional development projects. It also provided underwriting for about RMB20 billion of bonds, underscoring its commitment to one of the largest urban overhauls in Chinese history. When a blockbuster merger-and-acquisition deal lands, financial news headlines typically carry the names of companies involved. More noteworthy in the Chinese context, perhaps, is the name of the innovative institution that won this year’s award for Most Innovative Corporate Merger: Bank of China. Innovation proved key to Bank of China’s role as lead financier of many of the most prominent M&A deals involving Chinese corporate buyers and takeover targets between 2012 and last year. The bank ventured far beyond standard practices by creating its BOC M&A Financing Plus product, a one-stop, comprehensive M&A service that encompasses negotiating advice, deal financing, equity financing, syndicated lending, hedging, cash management and settlement arrangements. The service also includes bond issuance and post-acquisition credit support. Last year, the Beijing-based bank facilitated 32 cross-border M&A transactions for Chinese enterprises valued at nearly $100 billion, providing a combined $21 billion in financing. Deals included China Investment Corp.’s €6.8 billion acquisition of warehouse-operator Logicor and Chinese appliance conglomerate Midea Group’s takeover of robot-maker Kuka. Bank of China also helped cement ChemChina’s takeover of Syngenta and the $6.3 billion Cosco Shipping-Orient Overseas megamerger. Shedding debt, consolidating resources and improving the financial health of China’s largest companies are goals of the government’s state-owned enterprise (SOE) reform effort. Supporting reform-targeted SOEs and the government are banks, particularly those serving regions where local governments are pushing for tighter business credit. A standout reform-focused lender is Bank of Chengdu, the largest bank in Sichuan Province. It’s a strong supporter of the provincial government’s SOE reform campaign and wins this year’s award for Best Bank for Reform. Taking a cue from Sichuan Governor Yin Li, who recently urged SOEs and their financiers to “improve capital supervision, strengthen responsibility and risk prevention and further improve the quality of development,” Bank of Chengdu has cut excess capacity, applied a differential rather than one-size-fits-all policy to its business-lending practices and ended credit to noncompetitive companies with long-term losses. Closely tied to SOE reform is risk management, which the bank pursues through a vertical management structure with divisions for specific business segments. Loans are closely audited and credit applications carefully reviewed. One benefit of SOE reform has been a reduction in the bank’s nonperforming loans (NPLs). The NPL rate for Bank of Chengdu as of January 1 had fallen more than a half point, to 1.69%, compared with the prior year. At the end of 2017, the bank reported assets of RMB434 billion and a net profit of RMB3.9 billion, up 20% and 51% year-on-year, respectively. Regional economic progress in China can be measured according to several factors, including business growth and rates of poverty alleviation and social-service improvement. Provincial and local authorities combine these to set periodic development targets, supported by regional banks. Bank of Guizhou has built a reputation for supporting economic development through anti-poverty, education and health-care initiatives for underprivileged villagers and farmers in southwest China’s mountainous, largely rural Guizhou Province, earning it the 2018 Best Regional Bank for Economic Development award. In the province’s second-largest city, Zunyi, municipal party secretary Long Changchun recently called the bank’s financial support “inseparable” from local economic development. Bank of Guizhou’s accomplishments include RMB11 billion in approved loans for rural primary and secondary schools last year. Bank of Guizhou helped 40 hospitals and 37 clinics buy medical equipment. It also set up anti-poverty funds aimed at sparking development, including a RMB6 billion fund for a mountain area and RMB7.5 billion for anti-poverty demonstrations in several counties. Recognizing the value of business growth, the bank also issued RMB5.6 billion in loans recently for companies engaged in the province’s growing tourism industry. Changsha is a bustling city benefitting from the global success of local equipment manufacturers such as crane-maker Zoomlion and bulldozer-specialist Sany. It’s also home to extremely spicy food, summer downpours—and Bank of Sanxiang, this year’s winner of the China’s Rising Star Bank award and both a contributor to and a beneficiary of Changsha’s success. Although barely two years old, Bank of Sanxiang is one of China’s fastest growing financiers. Its total capital assets grew some 200% between January and June, to more than RMB22 billion. Loans, deposits and revenues likewise doubled or even tripled. And although the bank reported a modest net profit of RMB7.2 million for the first six months of this year, it’s quickly expanding through mobile banking and other services. Sanxiang was Changsha’s first private bank when it was launched in 2016 by two principal investors, Sany and pharmaceuticals giant Hunan Hansen. Its goal is to serve retail customers with offerings such as the Lingqianbao investment fund, which can be opened with just 1 yuan, and businesses through services such as a cloud-based payment system for small enterprises. A comfortable 35-minute ride between Indonesia’s capital, Jakarta, and the city of Bandung will soon be routine thanks to a high-speed railway that was designed, built and equipped by China Railway International Group. The rail line, under construction since 2016, is a flagship project for China’s expanding infrastructure development and trade in the Asia-Pacific region through the BRI. CRIG’s can-do attitude, and ability to secure the project despite formidable challenges earned it the Belt and Road Star of Southeast Asia award this year. CRIG had to beat Japanese competitors for the contract, and overcome early delays on the project, which is expected to be completed in 2021. A $4.5 billion China-Indonesia financing agreement was signed last year; and CRIG joined Indonesian companies to form a project operator, PT Kereta Cepat Indonesia-China. The intercity bullet train is expected to whisk passengers to their destinations while serving as a model for future CRIG projects in Southeast Asia. China Road and Bridge Corp. The snow-capped Kunlun Mountains were a major obstacle to trade between China and Pakistan before the first phase of a highway through the region, part of the China-Pakistan Economic Corridor development project, was completed in 2015. The second phase is due for completion in 2020. Replacing an older, treacherous road, the new highway serves as a signature example of cooperation between the two countries as well as the engineering acumen of China Road and Bridge Corp., this year’s Belt and Road Star of Central Asia. CRBC proved it can conquer any mountain while building the most challenging 120-kilometer section of the Karakoram Kunlun Highway. The $1.3 billion project is part of a wider effort to streamline north-south transportation between Pakistan’s border with China and the Indian Ocean. The long-term goal is to improve traffic conditions, promote development and enhance bilateral trade. The new highway system’s southern terminus is the Gwadar seaport, which was also built by China through the BRI. China International Water and Electric Corp.
Economic development would be a pipe dream without electricity, which is why Africa’s ongoing modernization effort relies on transmission-line and generating-plant projects spearheaded by Chinese engineering and construction companies through the BRI. Among the most active of these is China International Water and Electric Corp., this year’s Belt and Road Star of Africa. Tipping the scales in favor of CWE, a division of China Three Gorges Corp., was its current contract to build three transmission lines in Kenya’s central, northern and Nairobi regions. The capital city, as well as the Central Rift Valley, are expected to benefit greatly from power-grid improvements by—for example—linking power users to a newly built wind farm. CWE is also active in other African countries hosting BRI projects. Three Gorges chair Lu Chun recently visited Nairobi to review projects and discuss China’s deepening ties with Kenya via utility-infrastructure construction. Chinese companies are also building a new railway in the country.